This is an independent guide to the pubs of Newcastle Upon Tyne. If you are a visitor to the city and want to enjoy a good night out this comprehensive guide may interest you. There has never been a better time to visit Newcastle with all the uncertainty over Brexit, flight delays, tourist taxes and increased Euro costs so why not ditch visiting the EU 'abyss', stay in the UK and visit Newcastle (that special place in heaven!!). LEAVE means LEAVE and the sooner the better!. 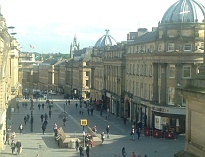 Newcastle has plenty to offer with a rich history, cultural, food and entertainment scene and is recognised as being the party capital of the UK and one of the top party cities of the world. 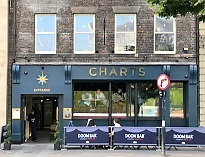 is Pubs Newcastle's pub/bar of the month for April 2019. This traditional old Newcastle pub which dates back to the 19th century offers a daily food menu and a good range of ales and craft beers. The pub which is located close to the Haymarket is open Monday 9am - 12am, Tuesday 9am - 1am, Wednesday 9am - 1.30am, Thursday 10am - 12.30am, Friday 9am - 1am, Saturday 9am - 1.30am, Sunday 10am - 12am. Food is served every day with breakfast on offer until 12pm and Sunday roast from £6.49. Click here to view the Sunday food menu. A special Lunch club offer is available with a soft drink £5.29 (includes sandwiches, ciabattas, wraps and jackets (upgrade to alcoholic drink £1). Live sports is shown throughout the bar with Live football matches, rugby, boxing and cricket featured. With the reasonably priced menu on offer and varied selection of ales and craft beers the pub is busy most times of the day. in the Cental Station area is now closed. The bar which is from the owners of Pleased to Meet You, Red House and Lady Grey's will re-open shortly under the new name The Gunner. A range of craft beers will be served as well as a daily food menu. More info and pictures of this new bar will be online shortly. 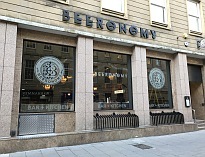 a new bar and kitchen in the Monument, City Centre area of Newcastle opened on Saturday 30th March 19. The bar replaces Jamies Italian restaurant that closed recently. A food menu will be available Monday - Saturday until 10pm (Sunday 9pm) as well as a wide range of cocktails, ales and bottled beers. Click here to view the food menu on offer. The bar will be open Sunday - Thursday from 10am - 12am, Friday - Saturday 10am - 12.30am. More info and pictures of this new bar is now online. 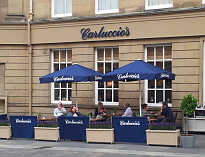 a new bar/restaurant opened it's doors on Friday 22nd March 19. 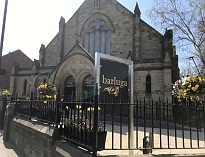 Located on Gosforth High Street the bar is from the same owners of Barluga on Grey Street in the City Centre area of Newcastle. 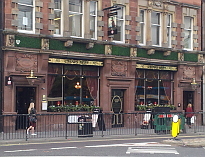 The bar was previously a church and was formerly Loch Fyne restaurant. A food menu will be available Monday - Saturday 9am - 10pm, Sunday 10am - 9.30pm as well as a good range of beers, wines and cocktails. The bar is open Monday - Saturday 9am - 11pm, Sunday 10am - 10.30pm. 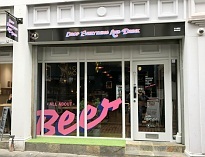 a new micro brew bar on High Bridge in the Bigg Market area of Newcastle is now open. The name of the bar which is taken from 'Drop Everything and Drink' is the sister bar to the Storm Cellar Bottle Shop and Tasting room located on 1 York Road, Whitley Bay. There is an excellent range of cask ales from the Black Storm brewery to choose from as well a selection of craft beers, small-batch craft spirits and cocktails. Bar snacks and charcuterie boards are served to compliment the ales on offer. The bar is open Monday - Thursday 11am - 11pm, Friday & Saturday 11am - late, Sunday 11am - 10pm. Disappointing and sad news in the Evening Chronicle on 24/10 that The Cooperage a Grade 2 listed building on the Quayside could be lost forever. This historical building dates back to the 15th century and is one of the few remaining buildings left on the Quayside that escaped the great fire of Newcastle Quayside in 1854. 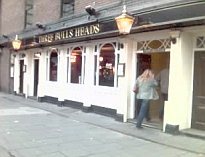 The pub closed it's doors in 2009 and was bought by Manners Ltd a company linked to the Apartment Group who own bars in Newcastle such as As You Like it, Floritas, Holy Hobo, House of Smith, Madame Koo and Nancy's Bordello. It is disappointing to hear that Manners Ltd/The Apartment Group have let this historical pub get into a state of disrepair and have elected to leave it to rot so it can be demolished. It is hard to believe that such an important historical Newcastle building could be treat in this way and it must be saved at all costs!!!. 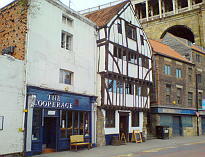 A Change.org petition has been raised by Phil Clarke in an attempt to get enough support to save this impressive at risk medieval timber framed building as a lasting reminder of the history of Newcastle upon Tyne. Pubs Newcastle would welcome support from it's visitors by signing the petition - Click here to access the Change.org petition. 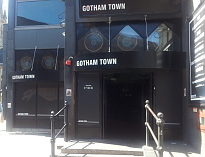 a new bar on Hood Street in the City Centre of Newcastle is now open. A food menu is available to accompany the wide range of ales and bottled beers on offer. Click here to view the food menu. The bar is open every day from 12pm until late. a new sub zero ice bar opened it's doors The Stack on Friday 25th January 19. The bar will be open for three months and will feature sub-zero ice adventure with some spectacular ice sculptures, sculpted by Glacial Art, the company that brought you the Game of Thrones Ice Throne. There is a variety of ticket packages available starting from £12.00 with drinks included in the price, one of which will be served in a real Ice shot glass. All guests will be given a jacket and gloves for the duration of their visit and you can spend up to 20 minutes in the Ice bar. 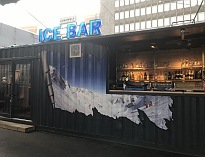 You will be given a Lonewolf Ice shot or a non-alcoholic alternative if under 18 when in the ice bar and a hot chocolate each once you leave. The bar is open Monday - Friday from 1pm - 11pm, Friday & Sunday 11am - 11pm. More info and pictures of this new ice bar is now online. 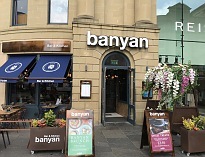 located on Grey Street in the City Centre area of Newcastle is now open. This new pop up bar from the Malhotra group which is styled on Alice's Adventures in Wonderland will be open up until March 19. The bar is open Sunday - Thursday 12pm - 11pm, Friday & Saturday 12pm - 12am. The venue replaces Miracle on Grey Street Christmas pop up bar which closed it's doors recently. Drinks including ciders, bottled beers, wines, hot drinks will be served with a selection of Alice in Wonderland themed cocktails. More info and pictures of this new pop up bar is now online. located in the Quayside area of Newcastle is now open. 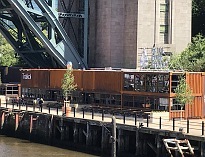 This new micro brewery bar is part of a container village which is transforming the Quayside on the Gateshead side of the river underneath the Tyne Bridge. There is also an exciting new range of independent street food traders including a Hawker Market and Trakol Restaurant (Open Fire Kitchen). More info and pictures of this exciting new container park from By The River Brew Co is now online. How well do you know the pubs and bars in Newcastle. Have a go at the Evening Chronicle's Newcastle pub quiz: Can you identify the 19 city centre bars in the quiz?. Click here to access the Evening Chronicle quiz and test your knowledge. There is a choice of Chinese, English, Italian, Indian, Mexican, Spanish, American, Japanese, Thai and other restaurants featured on the site. 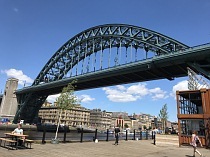 for the best places to watch Premier League, Championship, World Cup and UEFA Euro 2020 matches in Newcastle there is a selection of bars and pubs featured. Most of the bars/pubs feature live football, rugby Six Nations, cricket and Euro /World Cup football matches some with large screens and special offers during match days. information that would be of interest to anyone arranging a Stag or Hen party/weekend in Newcastle or further afield. There are links to Stag & Hen sites who can help you arrange a party, weekend, accommodation or an event. WW1 Centenary Ales Hadrian Border has produced four WW1 Centenary Ales to commemorate the Tyneside Scottish, Tyneside Irish, Newcastle Commercials and the Durham Light Infantry. Top Ten Pubs Pubs Newcastle's Top Ten Pubs worth visiting in no particular order. Pub Crawls Information on some Pub Crawls where you can sample the best of Newcastle. 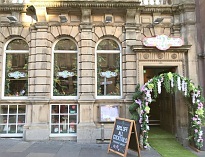 For the more adventurous try the Upmarket Pub Crawl where you can visit some of the more stylish bars in Newcastle. Old Bars/Pubs of Newcastle Information on some of the former bars and pubs in Newcastle that have now closed. 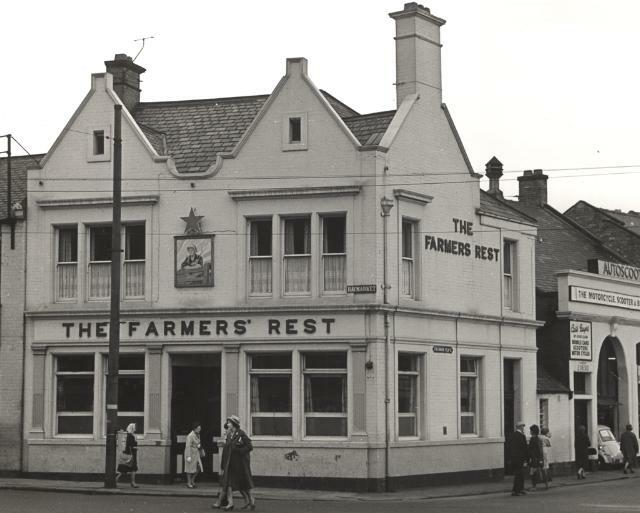 The bars/pubs shown on this page are all those that have been featured on the site previously with information on what has happened to each bar/pub.